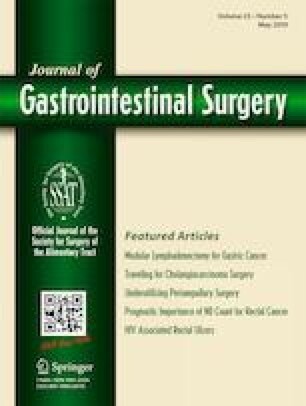 The most common site of gastrointestinal stromal tumors (GISTs) is the stomach, and gastric GISTs (gGISTs) occur most often in elderly patients. However, the clinicopathological features, treatment patterns, and prognosis of elderly patients with gGISTs remain unclear. We retrospectively collected clinicopathological and prognostic data for patients with primary gGISTs who underwent curative-intent resection at 10 medical centers in China from 1998 to 2015. Over the 18 years, 10 medical centers treated 1846 patients with primary gGISTs by curative-intent resection. The median age was 59 (range 18–91) years. The patients were classified into two groups according to age, namely an elderly group (≥ 65 years of age) and a nonelderly group (< 65 years of age). The elderly group had more comorbidities (40.7% vs 23.5%, p = 0.011), a higher rate of postoperative complications (14.4% vs 8.7%, p = 0.031), and a lower proportion of intermediate/high-risk patients who received adjuvant therapy (30.0% vs 66.8%, p = 0.001) than did the nonelderly group. Regarding pathological outcomes, a significant difference in tumor necrosis was observed between the two groups (p = 0.002), and more cases of tumor necrosis occurred in the elderly group than in the nonelderly group. Regarding postoperative recovery outcomes, no significant difference was observed between the two groups. Univariate analysis showed that age, postoperative complications, adjuvant therapy, tumor size, mitotic count, modified National Institutes of Health (NIH) risk category, and tumor necrosis were factors that affected disease-free survival (DFS). Multivariate analysis showed that modified NIH risk category was the only independent factor affecting DFS. The 5-year DFS rates in the nonelderly and elderly groups were 88.1% and 81.4%, respectively (p = 0.034), and the 5-year overall survival (OS) rates were 90.4% and 85.5% (p = 0.038), respectively. Currently, the treatment patterns for elderly patients with gGISTs remain the same as those for young patients with gGISTs. Elderly gGIST patients had more comorbidities and postoperative complications than did nonelderly gGIST patients, and fewer elderly gGIST patients received postoperative adjuvant therapy. Elderly gGIST patients also had a higher rate of tumor necrosis and worse DFS and OS than did young gGIST patients. Further exploration into the diagnosis and treatment patterns of elderly patients is therefore essential. Kaixiong Tao and Yong Li (first corresponding author) are co-corresponding authors. Zifeng Yang, Xingyu Feng and Peng Zhang contributed equally to this work. Dr. Zifeng Yang would like to acknowledge the support and guidance received from his postgraduate mentor, Prof. Li Yong, in the past 4 years. In addition, he would also like to thank Lianye Zhang for the constant patience, care, and love. All authors listed above have made substantial contributions to the conception and design of this study, have revised its intellectual content, and have approved the final submitted version of the manuscript. This study was supported by the Natural Science Foundation of Guangdong Province (2016A030310328) and Medical Scientific Research Foundation of Guangdong Province, People’s Republic of China (A2016228). We received ethics approval for this case series from 10 medical centers in China (Guangdong General Hospital; Guangdong Academy of Medical Science, Guangzhou, People’s Republic of China; Union Hospital Tongji Medical College Huazhong University of Science and Technology, Wuhan, People’s Republic of China; Southern Medical University Nanfang Hospital, Guangzhou, People’s Republic of China; Sun Yat-sen University Cancer Center; State Key Laboratory of Oncology in South China; Collaborative Innovation Center of Cancer Medicine, Guangzhou, People’s Republic of China; Fujian Medical University Union Hospital, Fuzhou, People’s Republic of China; Fudan University Shanghai Cancer Center, Shanghai, People’s Republic of China; West China Hospital, Sichuan University, Chengdu, People’s Republic of China; Peking University Cancer Hospital and Institute, Beijing, People’s Republic of China; Liaoning Cancer Hospital and Institute, Shenyang, People’s Republic of China; People’s Liberation Army Cancer Center; 81st Hospital of PLA, Nanjing, People’s Republic of China).